Hello! 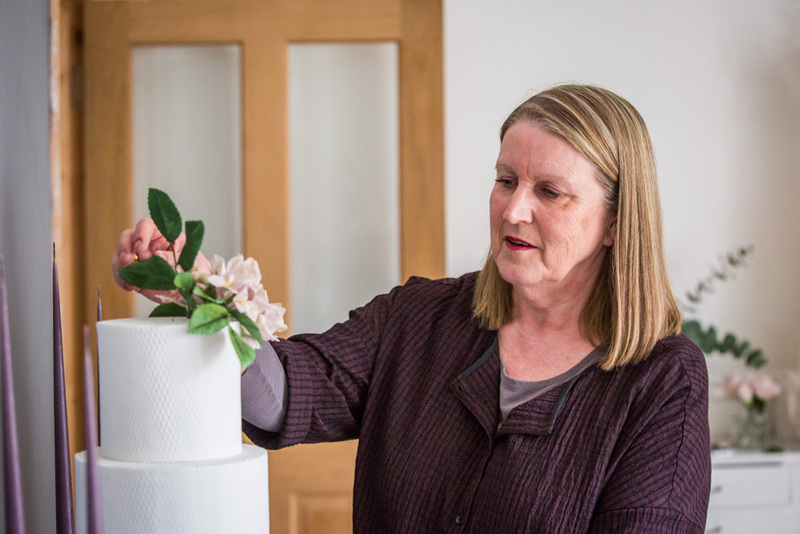 My name is Sue and I launched Daisy Molly and Me in Torquay, South Devon in 2014 with a passion for combining modern design with indulgent flavours to create unique contemporary wedding cakes for style conscious couples. My earliest childhood memories are of delicious home-baked treats. My brother and I always knew that a visit to either of our grandparents would mean enjoying one of their specialities: we’re talking egg custard tarts and an incredible lemon meringue pie. Of course, my mother was an excellent home baker as well – light as a feather victoria sponges. Sweet memories! I’ve always had a love for creative skills. I learnt to knit and sew from my mother and expanded my needle skills later into freehand machine embroidery. My passion now is to combine these artistic skills with inspiration gained from my love of nature, architecture, fine art and absolutely anything that catches my eye. Now, as a baker and cake artist, I am able to continue using these skills in exploring the challenges of a new medium – sugar! My passion is working with couples who are looking for a different approach unrestricted by the conventional – a piece of cake art that will surprise and delight. I work with you to create a wedding cake that combines the ‘feel’ you are aiming for with a modern yet timeless interpretation of this wedding tradition. Take a look at my portfolio and I hope to work with you very soon.